In 2015, a demographic survey of the staff of North American art museums conducted by The Andrew W. Mellon Foundation, Association of Art Museum Directors (AAMD), American Alliance of Museums (AAM), and Ithaka S+R found that the staff composition of museums in the United States is not remotely representative of the country’s population. The leadership and the curatorial and conservation staff, in particular, are predominantly white. In a rapidly changing country, a lack of diversity on the staff responsible for developing collections and programs inevitably affects a museum’s ability to understand the interests, contributions, and needs of its public, whether locally or on a national level. As art museums are public amenities that can bring significant benefit to those who participate in their programs, this condition is both a challenge of social justice and of long-term institutional relevance and health. In response to our report, museum directors, curators, conservators, professional organizations, and foundations have come forward to confront the challenge and launch programs that seek to address its many dimensions. To shine a light on fruitful approaches to this work, the Mellon Foundation partnered again with Ithaka S+R and AAMD to conduct a series of case studies of AAMD members to analyze how these museums have succeeded in achieving relatively robust demographic diversity among staff. The research team at Ithaka S+R probed broadly how the museums think about diversity, equity, accessibility, and inclusion in relation to collections, programs, community engagement, partnerships, and board development. The following capstone report combines findings from each of the case studies to indicate possible ways of increasing staff and board diversity, cultivating an inclusive and equitable climate in the museum, and building trust with communities that museums have historically not reached or served well. The case studies suggest a wealth of ideas and practices that museums of different types and in various locations may find worth adopting or adapting. While the inclusion of any one institution in this group of studies does not signify an endorsement of its practices from the Mellon Foundation, we are grateful to each of the museums for making their staff available for a rigorous process of study by Ithaka S+R. We value their conscious work to develop stronger cultures of equity, diversity, inclusion, and access within and beyond their walls. The case studies suggest that it should be possible in the long run for art museums to align themselves more fully with the panoply of interests and needs of the American people. They also indicate that progress is likely to be relatively slow, and that it will depend on sustained commitment and accountability. In the belief that what gets measured is more likely to get done, the Mellon Foundation, AAMD, and AAM are working with Ithaka S+R to conduct a second iteration of the Museum Staff Demographic Survey. Whatever the results may show, we look forward to continuing to partner with the art museum community in its vital public mission of bringing art to all. Following the findings from the Andrew W. Mellon Foundation’s 2015 Museum Staff Demographic Survey, Ithaka S+R, the Mellon Foundation, and the Association of Art Museum Directors (AAMD) partnered again to conduct a series of case studies of AAMD members. Using the data from the 2015 survey, we identified 20 museums where underrepresented racial and ethnic minorities have a relatively substantial presence in positions of intellectual leadership, defined as educators, curators, conservators, and senior administrators. We then gauged the interest of these 20 museums in participating, asking a few questions about their history with diversity. In shaping the final list of eight participants, we also sought to ensure some amount of breadth in terms of location, museum size, and museum type. In conducting the case studies, we set out to understand how these museums have succeeded in achieving relatively high levels of representational racial/ethnic diversity among staff. But we were also interested in understanding how each museum thinks about diversity in relation to its audience and board, as well as to its collections, exhibitions, and programs. We sought to explore issues of equity and inclusion among museum staff and audiences, and endeavored to capture salient findings in terms of organizational successes as well as challenges and barriers. The case studies yielded instructive lessons in how to increase staff and board diversity, work toward more inclusive exhibitions and public programs, cultivate an inclusive and equitable climate in the museum, and build trust with audiences museums have historically not reached or served well. We also observed several barriers to realizing these goals. This report synthesizes findings from these eight case studies and provides recommendations for effecting institutional change. These recommendations will not apply equally to all art museums, but rather represent a series of possible directions that may merit consideration across museums broadly. The findings in each section of this report are illustrated with examples from the case studies. We hope that this structure can act as a guide to direct readers to the case studies most relevant to their organizations and communities. Building equity, inclusion, diversity and access into the operations of the museum requires internal work to create a welcoming climate for staff, and to empower engagement and action horizontally and vertically across departments. This process can result reevaluation of long held assumptions, experimentation with new organizational structures, and budgetary reallocations. Develop diverse applicant pools by broadening job requirements. Look for job candidates with non-traditional backgrounds who will bring valuable skills and new networks to the museum. Prepare the museum to be a welcoming place for these employees. The museums we studied have used an array of methods to diversify staff, none of which have led to complete success thus far. But one key solution is to broaden job requirements. Many positions in the museum, particularly for curators, have historically required a narrow and specific set of skills and education, often limiting the pool of potential applicants. But are these requirements essential for succeeding in the position today? Or do they at times serve to discourage applicants with significant accomplishments who have non-traditional backgrounds? Introducing greater flexibility in the hiring and promotion process allows some museums to attract a broader pool of candidates and can lead to greater representational diversity among museum staff. For instance, the Brooklyn Museum hired a candidate with a community organizing background as its director of education. Her previous experience has served her well in connecting with and understanding the needs of local communities and has allowed her to advance in the museum. But she does not have a formal background in museum education. While the Brooklyn Museum has taken a wider view of job qualifications in its education department, the Detroit Institute of Arts (DIA) has diversified its staff by broadening job descriptions in its contemporary curatorial department. Instead of looking only for art historians, DIA also has sought candidates who have honed their skills outside the field. However, this experiment revealed another challenge; a culture of inclusion must be fostered when hiring staff with non-traditional skills or educational backgrounds. Within two years of their hire, the two African American contemporary curators at DIA left the museum, due to tension that emerged over a number of issues related to climate and process. Create opportunities to expose emerging professionals to significant networks in the cultural sector and help them to develop connections beyond the host institution, utilizing director and board networks. Because opportunities in the cultural sector often arise through networks in a highly competitive field, providing mentorship opportunities to a diverse set of emerging professionals is an important way to open pathways into the field for historically excluded groups. This can be implemented through formal programs designed to expose emerging professionals to a variety of cultural organizations and established figures. Informal instances of mentorship, in which individuals receive career guidance from senior administrators and staff, are also effective. At the Studio Museum in Harlem, director Thelma Golden has led a curatorial development program that introduces new professionals of color to significant donors and leaders in the field. This involves taking emergent curators to international exhibitions, traveling with donors, and visiting the private collections of philanthropists. As a result of this and other mentoring programs, Studio Museum has an impressive track record as an incubator of talent, with many former staff now serving as curators and administrators in museums across the country. For a museum with a relatively small curatorial department (fewer than five staff), this institution has had a remarkable impact. The Teen Council at the Contemporary Arts Museum Houston (CAMH) is a youth development program that has served Houston since 1999. It is a highly diverse program, and many of its participants have gone on to pursue careers in the arts. Research investigating the outcomes of these students has shown that the program had a meaningful impact on the course of their lives and their career decisions. The program exposes participants to the various roles available in a museum setting, and creates a familiarity with contemporary art at a young age, which often develops into a lifelong appreciation. Spelman College Museum has a curatorial studies program that introduces ten students each year to the curatorial operations of the museum. It also introduces them to a rich network of artists and curators, and prepares them for highly competitive internships. 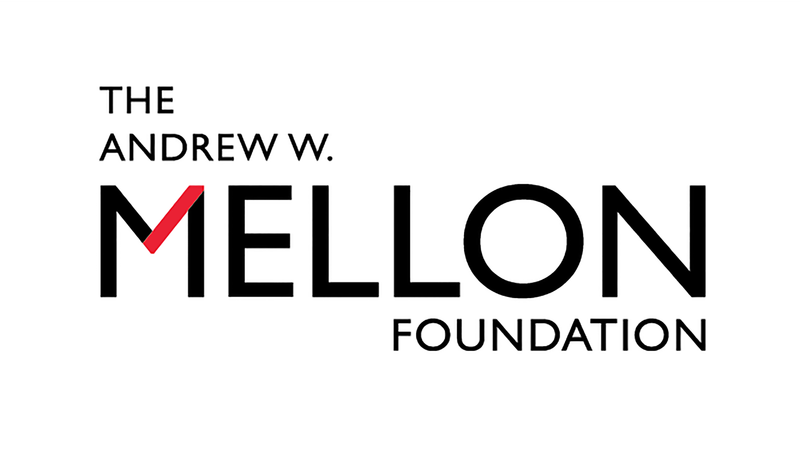 This program, funded by the Mellon Foundation, began in 2015. While there is no guarantee that these students will pursue careers in the arts, the program has the potential to increase diversity in museum curatorship relative to current figures, not least as significant numbers of Spelman College graduates pursue advanced degrees in the humanities that prepare students well for museum careers. Provide compensation for interns, and if necessary generate new sources of revenue to support internship programs. The common practice of hiring unpaid interns can functionally exclude populations that are unable to work for free. Paying interns is an important step toward leveling the playing field across socioeconomic status. In some cases, this may require the museum to prioritize raising spendable and/or endowment funds for an internship program, or to take other steps to provide funding for what otherwise would be free labor. Brooklyn Museum has initiated a two-year paid internship program funded by the Citi Foundation. This program plans to recruit from historically black colleges and universities and diverse academic institutions such as the CUNY system, for internships spanning many of the museum’s departments. The ten undergraduate summer fellows will participate in weekly seminars and workshops with outside specialists, intern-led brown-bag presentations, and will be paired with a post-internship mentor who will help guide the emerging professional’s job placement. DIA has made some recent progress in shifting toward a paid internship program. The museum currently has five paid internship positions, two of which are specifically intended to increase diversity in the arts. While DIA still has some unpaid interns, the museum sees its program as an important step toward increasing access to opportunities in the arts. With new funding, DIA is adding eight paid internships. Set targets for board member diversity and develop strategies to expand beyond familiar networks. Diversifying the museum’s board is seen by many museum directors as one of the most challenging tasks they face. Boards are often composed to provide resources to support the museum’s operations and capital needs, which is a primary barrier to diversification. In addition, boards have traditionally been cultivated through wealthy networks. As one director explained, for about two-thirds of his board, all of their children attend the same primary school. Wealth is unevenly distributed to begin with, but the reliance on social networks creates yet further barriers to entry for people who would bring diversity to museum boards. Most participating museum directors have set goals for board diversity and have a number of strategies for achieving these goals. But to set such strategies up for success, it is important to cultivate alignment on the board around equity, diversity, and inclusion as values to be pursued throughout the organization, including the board. As museums work to diversify audiences in an inclusive way, a high level of cultural competency on the board is critical, especially in cases when the board is not already diverse. The Detroit Institute of Arts has succeeded in recruiting diverse board members through a high level of personal engagement on the part of director Salvador Salort-Pons. By holding special events for ethnically specific philanthropic communities, he has been able to develop excitement among several communities in Detroit and the broader tri-county area that the museum serves. Structure regular opportunities to listen to employees, individually and in groups, on issues of access, equity, diversity, and inclusion. Create a venue for sharing ideas across departments and levels of seniority. Creating alignment among staff to support an agenda of promoting equity, diversity, and inclusion can be difficult. The process of developing a climate in the museum wherein these efforts have broad appeal can be delicate and requires patience. Some museum directors found success developing horizontal engagement through nonhierarchical management styles. By empowering staff to reflect on these values in relation to their particular role and through daily activities within the museum, some directors have managed to generate buy-in. This approach was seen as preferable by many directors to the alternative of dictating change in a hierarchical fashion, which can lead to resistance. LACMA has worked toward cultivating alignment among staff for equity, diversity, and inclusion efforts through a nonhierarchical management style. The museum leadership has assumed a conversational approach to the topic, inviting discussion and seeding ideas with staff across levels of seniority. Over the course of director Michael Govan’s administration, this has yielded alignment broadly among staff. The Brooklyn Museum instituted bi-weekly “messaging meetings” to create a forum for horizontal discussion among staff. In these meetings, representatives from every department in the museum come together to share ideas and listen to each other regarding the planning for forthcoming exhibitions. At the Studio Museum, one interviewee contrasted her professional experience at the museum with another institution where she viewed the efforts towards diversifying staff as inauthentic. As she described, the multicultural movement of the 1990s was about ticking boxes; institutions were not actually interested in the different perspectives and lived experiences of historically excluded communities—they simply wanted to change the numbers. Under the leadership of director Thelma Golden, Studio Museum has generated a culture of inclusion and equity, in which diversity of thought and experience is valued and embraced. Identify instances where important institutional knowledge is siloed and create opportunities for distributing this knowledge through intra-institutional collaborations and partnerships. While cultivating alignment toward the values of equity, diversity, and inclusion can benefit from horizontal engagement among staff, formal reorganizations can have a meaningful impact in amplifying community voices. A number of museums have experimented with reorganizing teams, hiring liaison positions, or creating interdepartmental committees in order to create engagement across parts of the organization that had previously been siloed. Directors see this as a way of making the museum more nimble. In many cases, creating opportunities for interactions between different departments or levels of seniority can improve awareness, raise cultural competencies, and help the museum make progress toward building trust with the public. At the Brooklyn Museum, public programming was part of the education department until fall 2016, when director Anne Pasternak made it part of curatorial. The public programming staff now helps shape curatorial discussions in ways that are more attentive to cultural representation. For instance, in planning for an exhibition celebrating Brooklyn’s many cultures, the director of public programs noticed that no Dominican artists were included in the exhibition, while 3.3 percent of the borough’s population are Dominican. DIA has established a committee, Reflecting Our Communities, which brings together staff from several departments to address the museum’s progress in building a stronger relationship with local communities in Detroit. Through the committee’s work, DIA has added a new outreach position and has established a forum for the museum to listen to community members and learn about ways the museum can have a greater impact in their lives and neighborhoods. MCA Chicago discontinued an outward facing committee that was devoted to diversifying the museum’s audiences, which reported to the director of the marketing department. In its place, the museum has established a committee focused on access, inclusion, and equity, which reports to the museum director. This committee is composed of pairings of staff and board members who work together to develop efforts towards realizing these values, both internally and externally. The new committee reflects a degree of humility and openness, as the museum realizes it must focus on its own institutional climate, while imbuing its programming, exhibitions and communications with these values as well. The participating museums increasingly wish to build a strong, trusting relationship with audiences they have traditionally not reached well, seeking to ensure community engagement and take on a growing civic role. Understand who your museum serves and who it does not. Evaluate how different audiences view and use the museum. Before developing a strategy towards realizing the values of diversity, equity, and inclusion in the museum, it is important to understand who the museum’s audience is, that audience’s relationship to the museum, and also which audiences the museum has failed to connect with and why. To do this, investment in research and evaluation is necessary. DIA has been a leader in evaluation in the art museum field for roughly two decades. Through surveys and interviews the Institute has been able to measure successes and failures as it strives to be a more welcoming place for the city of Detroit. With an internal evaluation department, the museum measures audience reactions to exhibitions, captures demographic data, and also engages communities the museum is not yet reaching in order to understand how to hear, serve, and engage them better. Develop systematic pathways that can lead to museum employment, beginning with youth development programs that draw from communities proximate to the museum. As museums engage with disadvantaged communities or populations they have not reached or served well, opportunities emerge to provide access points to the museum. Creating early exposure to the various operations of the museum can inspire a next generation of cultural producers and arts administrators to think of the museum as their home. Education departments are frequently positioned to identify talented youth and cultivate their interests. Research has shown that these youth development programs can have a major impact on the participant’s relationship to art and a future career trajectory. The youngest museum included in our study (founded in 1994), the Warhol Museum has succeeded in engaging with historically excluded communities through educational programming. These off-site programs create a pathway into the museum, often beginning with the Youth Program Council, which empowers youth to generate their own events. Many progress to internships and educational roles, both within the Warhol as well as with other cultural organizations. LACMA is granting access to its collection off site, at Charles White Elementary School in MacArthur Park. The education department has curated a gallery in the school. This effort served as a proof of concept for a broader initiative to create LACMA branches throughout the city, like a public library system. The process has required LACMA to become acquainted with new neighborhoods and populations, allowing it to better understand the complex urban environment it serves. Consider the symbolic message that architecture and design send to historically underrepresented groups. Utilize evaluation tools to determine how best to connect architecture and the public. The architecture and design of a museum create a profound first impression on audiences and, in many cases, tacitly signal who the museum is for. Many traditional facades can signal a connection to the social values that have historically excluded many populations from cultural institutions. Interiors can also reflect values in the museum: ground floor galleries tend to get more foot traffic, and the location of public spaces and departments can communicate the museum’s priorities. In order to generate a more inclusive atmosphere, some museums have worked to transform the physical museum space. LACMA has plans to replace several of its buildings with a single horizontal structure, with a glass exterior. DIA is working to transform its grounds into a public space. MCA Chicago just renovated its interior, placing education facilities at the center of the museum, visible from the museum entrance. In 2004, the Brooklyn Museum altered its facade from a traditional stone staircase to a street-level glass pavilion, which has become a social space for youth in the neighborhood. Use controversies as an opportunity for open public dialogue, to listen, and to build trust. As museums strive to build deeper connections with historically excluded communities, they sometimes inadvertently offend. While it can be tempting to withdraw in such situations, engaging the controversy and taking the opportunity to explore the underlying issues can produce meaningful connections between the museum and its public. It is not a guarantee that these efforts will be well received at first, but these gestures have the potential to change the way alienated communities view the institution. The Warhol Museum ran an ad campaign that artists and activists in Pittsburgh’s black community found offensive. Then director Eric Shiner engaged the controversy and created a programmatic partnership with one of the artists involved in the protest, D.S. Kinsel. This partnership led to public artwork that confronted issues of police brutality. The Warhol Museum also reached out to the Pittsburgh police department concerning the work. In the ensuing community conversation moderated by Shiner, Kinsel and then chief of police Cameron McClay shared their perspectives and listened to one another. The public discussion created a productive line of communication between polarized groups in the city. Partner with organizations that serve different communities in order to diversify audience. At Spelman College Museum, Andrea Brownlee described the value of institutional partnerships in bringing diverse audiences into the museum, which is free and open to the public, but is housed in a gated college These partnerships, such as with the contemporary art magazine Art Papers and the nonprofit Atlanta Celebrates Photography, have also allowed cultural organizations with majority white audiences to connect with exhibitions of black female artists like Mickalene Thomas, Beverly Buchanan, and Deborah Roberts. In some cases, institutional partnerships and collaborations were necessary to develop these exhibitions. Brownlee sees institutional partnerships as a way to build ongoing relationships with unfamiliar communities, rather than relying on ad hoc initiatives that can be tokenizing. Through her example, museum staff are empowered to grow relationships in a similar fashion. As the Studio Museum in Harlem prepared to vacate the premises last year in preparation for a new building project, the museum began an initiative called inHarlem, intending to generate partnerships with various cultural organizations in the neighborhood, like parks and libraries. When a museum of international renown develops and strengthens relationships with neighboring cultural organizations, the broader community benefits from the museum’s rich collecting, programmatic and art-making practices. Many museums across the country grapple with the transition from being collections-focused institutions to becoming more visitor-oriented in a spirit of public service and civic engagement. These shifts can challenge the status quo under which many museums and a majority of their current staff members have historically operated. As museums reevaluate their relationship to the public, they have an opportunity to improve access, inclusion, and equity both in relation to the museum’s audiences and the art work on the museum’s walls. Hire educators from the communities the museum is trying to engage. Create opportunities for educators to bring their expertise to bear on the atmosphere and accessibility of the museum’s galleries and programs. Museum education is growing increasingly central to the mission of art museums as directors embrace a civic commitment to the public. Museum education positions are compensated significantly lower than nearly all other departments in the museum (except security), according to the AAMD salary survey. They are also typically more flexible with regard to credentials than other intellectual leadership positions in the museum, such as curatorial, conservation, and senior administration. In most of our case studies, education departments were more diverse than other departments. Many of the educators were from the communities the museum was working to reach. At LACMA, the education department is over 50 percent Hispanic, and has an established presence in many economically disadvantaged neighborhoods in Los Angeles, which often also have predominantly Hispanic-Latino and/or African American populations. By providing arts education in public schools, and maintaining satellite locations, such as at Charles White Elementary School, educators can inspire youth to pursue careers in the arts. In some cases, this serves as a pathway to positions in the education department. Through this process, the museum can gather a diverse set of cultural competencies, and ensures that everything from wall text, to brochures, to outreach considers a broad range of perspectives. Cultivate respect for curatorial rigor by making the curatorial processes transparent, and allowing all museum staff to learn about the process of developing collections and exhibitions. Empowering educators must be balanced with a deep commitment to curatorial rigor as efforts are made to represent diverse cultures, or the museum will face challenges both internally and with the public it aims to serve. As museums hope to reflect local, national, and global cultural narratives that have historically been ignored, it is essential that quality is not sacrificed in pursuit of access and inclusion. As such, curatorial departments must communicate the value of presenting challenging and complex work with scholarly and artistic merit in coordination with the museum’s efforts to become more visitor focused. They must communicate through this practice that the museum’s commitment to the scholarly presentation of art is not mutually exclusive to a civic commitment to welcoming non-traditional audiences. Otherwise, museums that are striving to diversify exhibitions and collections will be in danger of diluting the scholarly rigor they bring to the visual culture of historically underrepresented and disadvantaged communities. CAMH had a strong history of presenting diverse and rigorous exhibitions over Valerie Cassel Oliver’s 17-year tenure as senior curator. A native Houstonian committed to revising the canon, Oliver garnered national recognition for contributions to the city’s contemporary art scene. The museum has continued this work since her departure for the Virginia Museum of Fine Arts, developing exhibitions that center on social justice issues and growing connections to the Hispanic, South East Asian, and LGBTQ+ communities. The Studio Museum in Harlem made significant scholarly contributions to the African diaspora art community through rigorous exhibitions that highlight the talent and cultural significance of artists of the African diaspora. The Studio Museum has done much to revise the canon through retrospectives, but also by featuring the work of emerging and mid-career artists. Spelman College Museum focuses on presenting the art of women of the African diaspora. Through this mission they have created a cultural space for a frequently underrepresented group of artists. Presenting art within this scope has allowed the museum to move discourse about these artists’ works beyond conversations about their identity and relationship to race and gender issues. MCA Chicago has established a Global Visions initiative, which has brought a focus on international cultural narratives into the curatorial department in a formal way. It has also developed meaningful exhibitions of local artists, highlighting both the rich cultural history and social challenges facing Chicago neighborhoods. Minimize tension between education and curatorial departments by finding clear areas for collaboration. Several museums have developed successful collaborations between curatorial and education departments, where educators are able to bring new insights and perspectives to longstanding approaches in the ways museums communicate with the public. Their authentic connection to new audiences allows them to see ways in which tweaks to exhibitions and public programs would make them more inviting. When curators listen to these perspectives, particularly when the education department is bringing grass roots knowledge to bear, they find they can maximize the impact of their shows. At the Brooklyn Museum, former director Arnold Lehman explained that in order to identify the “sweet spot,” for an exhibition, the curatorial team conceptualizes a three-circle Venn diagram, with one circle representing community, one representing collections, and one representing mission. Intersecting these three aspects of the museum guided their curatorial practice. At LACMA, several of the educators, including the director of the department, were formerly curators, allowing for strong collaboration across departments. In some cases, educators would curate shows, both at the off-site Charles White elementary school and on LACMA’s campus. Curators and educators described that these healthy working relationships derived from a shared respect for one another’s expertise. As research shows, while the demographics of the United States are changing, socioeconomic and racial inequities are persisting. Representing the variety of cultural narratives in local, national, and global contexts becomes an increasingly complex task. If museums fail to diversify staff and programming to tell and display the full range of American stories, art museums will increasingly find themselves in the unsustainable position of presenting culture from a conspicuously narrow frame of reference. They are at growing risk of reinforcing a culturally exclusionary narrative that has long underpinned social and economic inequities in the United States. Changing internal operations is complex and time consuming, as our findings have shown. As complex is the process of engaging communities for which museums have not been all that relevant, displaying a genuine commitment to equity and inclusion, and building trust with diverse populations. Audiences in La Placa Cohen’s Culture Track ‘17 study identified as the number one barrier to cultural participation that “It’s not for someone like me.” People of color are 82 percent more likely than white audiences to avoid cultural organizations because activities fail to reflect a range of cultural backgrounds. While there is no panacea to make the field more diverse and representative of national and local populations, these case studies suggest that museum leaders and their teams are energetically pursuing new approaches to enhancing the values of equity, diversity, and inclusion both within the museum walls and among the communities they seek to engage. We hope these studies will catalyze new strategies and efforts as museums learn from their peers and consider their own environmental and organizational landscapes. The Art Museum Staff Demographic Survey can be found here: https://mellon.org/programs/arts-and-cultural-heritage/art-history-conservation-museums/demographic-survey/. The Case Studies in Museum Diversity can be found at the following websites: Ithaka S+R: http://www.sr.ithaka.org/landing/case-studies-in-museum-diversity/; Andrew W. Mellon Foundation: https://mellon.org/resources/news/articles/case-studies-museum-diversity/; Association of Art Museum Directors: https://aamd.org/our-members/from-the-field/case-studies-in-museum-diversity. We could not have completed this project without the early vision and steadfast support of Mariët Westermann and the thoughtful engagement that she, along with Alison Gilchrest and Johnnetta Cole, provided at every stage of the project. We would also like to thank the following individuals who were critical to development and execution of this project: Christine Anagnos, Alison Wade, Stephanie Yao, Anne Pasternak, David Berliner, Thelma Golden, Evans Richardson, Patrick Moore, Danielle Linzer, Michael Govan, Hilary Walter, Salvador Salort-Pons, Madeleine Grynsztejn, Naomi Beckwith, Marissa Reyes, Andrea Barnwell, Bill Arning, Sam Smith, and Kimberly Lutz, as well as all who gave their time, through interviews or otherwise, without whom this project could not have been realized. While there is a high degree of geographic variety among participants, all museums that met the criteria of having at least 25 percent of the intellectual leadership positions held by people of color were in highly diverse urban centers. We focused on race and ethnicity as a metric for measuring diversity for two reasons: (1) In the 2015 art museum demographic study, we received substantive data for the race/ethnicity variable, unlike other measures such as LGBTQ+ and disability status, which are not typically tracked by human resources systems, and (2) in the study we found ethnic and racial identification to be the variable for which the degree of homogeneity was related to the “intellectual leadership” aspect of employment (i.e., curator, conservator, educator, senior administrator). We also found in the survey that the field was majority female – 60 percent – and that intellectual leadership positions were roughly the same ratio. Therefore, our research framework was more oriented toward racial/ethnic inequities than gender inequities. Over the course of the project, the Harvey Weinstein scandal and #MeToo movement have highlighted persistent gender inequities that exist in the workplace across many sectors, including the cultural sector. More research is needed to understand the implications of these abuses. We are also alert to issues of accessibility, and although it was not foregrounded in our original project plan we hope to address these questions in more depth in future projects. Some findings on accessibility issues can be found in the following case studies: Liam Sweeney, with Katherine Daniel, “At Fifty, Remodeling for Equity: MCA Chicago,” Ithaka S+R,June 7, 2018, https://doi.org/10.18665/sr.307510; Liam Sweeney, “Pipelines and Inroads: The Andy Warhol Museum,” Ithaka S+R, January 23, 2018, https://doi.org/10.18665/sr.306188. Danielle Linzer, Room to Rise: The Lasting Impact of Intensive Teen Programs in Art Museums (New York: Whitney Museum of American Art, 2015). “Salary Survey,” Association of Art Museum Directors, July 3, 2017, https://www.aamd.org/our-members/from-the-field/salary-survey. William H. Frey, Diversity Explosion: How New Racial Demographics Are Remaking America (Washington, D.C.: The Brookings Institution Press, 2018). Raj Chetty, Nathaniel Hendren, Maggie R. Jones, and Sonya R. Porter, “Race and Economic Opportunity in the United States: An Intergenerational Perspective,” NBER Working Paper No. 24441, doi:10.3386/w24441. Significantly, it is not the lack of representation of their own identity that they find off-putting, but rather the lack of a variety of backgrounds. Sweeney, Liam and Roger Schonfeld. "Interrogating Institutional Practices in Equity, Diversity, and Inclusion: Lessons and Recommendations from Case Studies in Eight Art Museums ." Ithaka S+R . Last Modified 20 September 2018. https://doi.org/10.18665/sr.309173.